Miami Beach 411 > Hotels > 3-star > Whitelaw Hotel in Miami Beach, FL. ¿Hablas Español? ABOVE: A video spotlight featuring the Whitelaw Hotel. Watch more hotel videos. This page allows you to find directions, post a comment, read reviews, and check rates at the Whitelaw Hotel. Rates: Low season from $89. High season from $169. 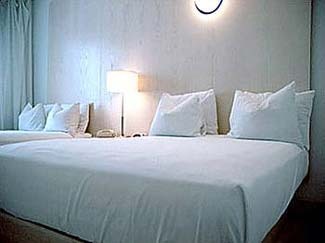 The Whitelaw 3-Star Hotel is located on Collins Avenuein South Beach. This Hotel will be an advancement in the standard hotel accommodations, providing a good setting for the business traveler. The slogan reads, "Clean Sheets, Hot Water, Stiff Drinks". Valet parking is available, but you can save a few dollars and park at the nearby 7th Street and Collins Ave. garage for a rate of $8 per day. Wireless Internet access (Wi-Fi connections) is available throughout the hotel for a charge of $15 per day. The Whitelaw Hotel offers free airport shuttle service from Miami International Airport (MIA) to and from the hotel. • The Whitelaw is on the Left (West) side of the street. 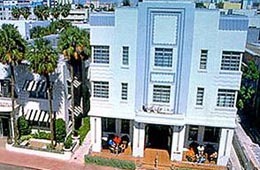 The Whitelaw is located at 808 Collins Ave., Miami Beach, FL 33139. Use our Miami hotel map to find the exact location. I stayed at the Whitelaw Hotel on March 12-15th of 2005 and found this to be one of the best kept secrets in South Beach! The staff was very friendly and accomodating, the rooms, small but very comfortable and entertaining wuth the white decor. I would definately stay here again. The hotel staff is top notch. From the acommodating manager to the friendly and charasmatic bar manager to the front desk people you will surely meet a new friend by the time you leAve. I have stayed 4 times in one year and wouldnt dare go anywhere else. Click HERE for Whitelaw Lodging Information. Whitelaw Hotel in Miami Beach. Miami hotel reservations.